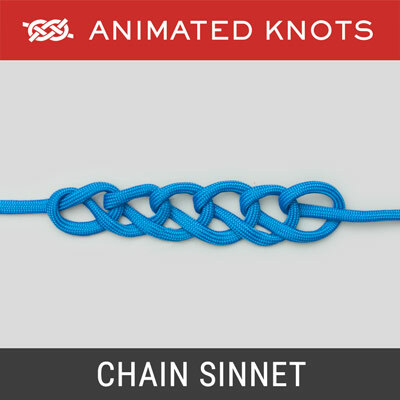 Decorative chain — shortens line and and prevents tangling. 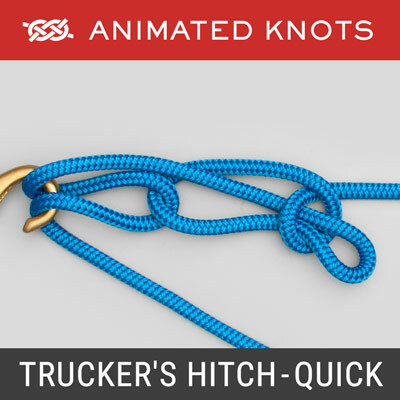 Quick-release knot supposedly used by highwaymen. 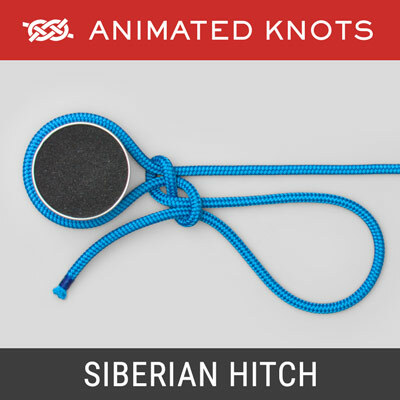 Excellent quick-release knot to secure a cow to a fence. 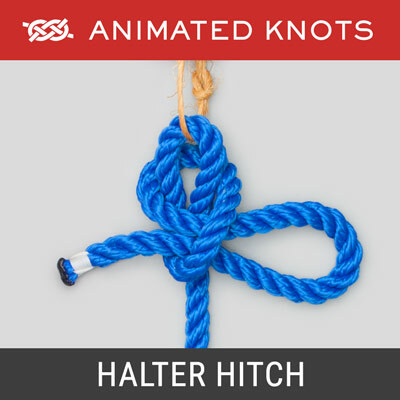 Quick-release knot to hold a boat temporarily to a dock. 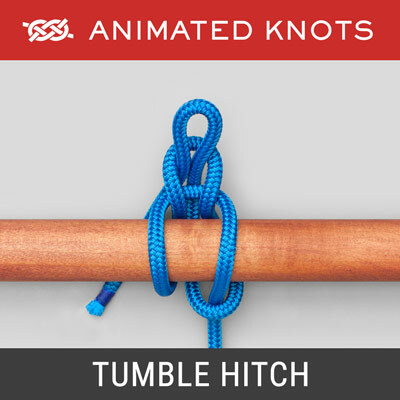 Quick-release hitch. May be tied in cold weather with gloves. 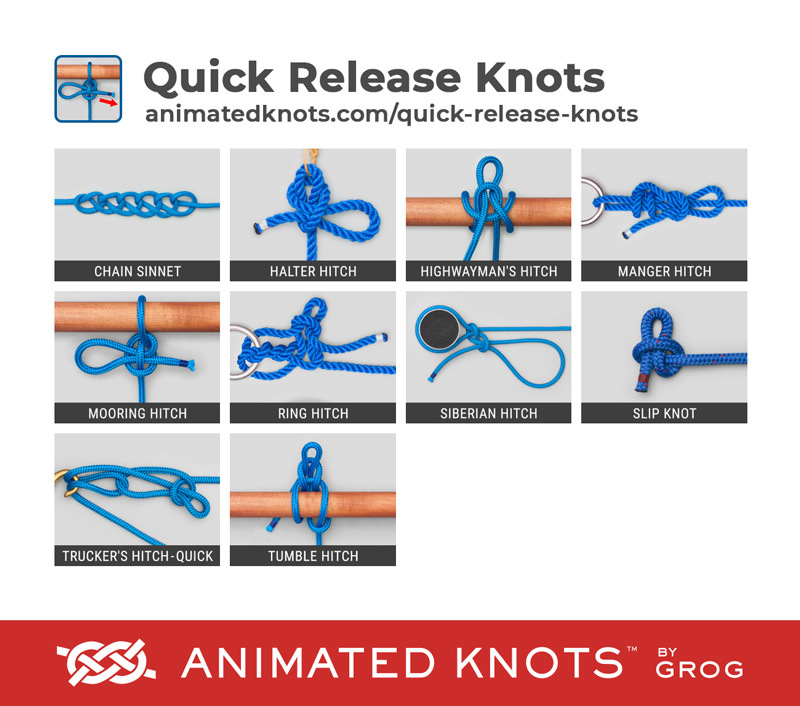 This page shows a selection of the commonly used Quick-Release Knots. 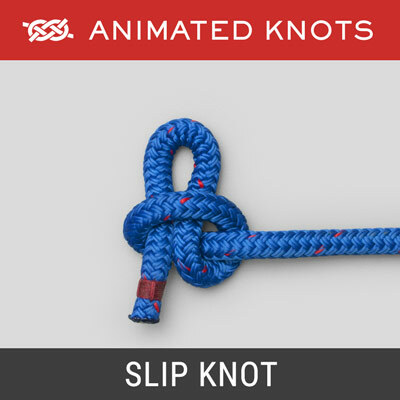 The ability of these knots to grip securely is heavily dependent on the rope. When rope was mostly tarred hemp, they all gripped. 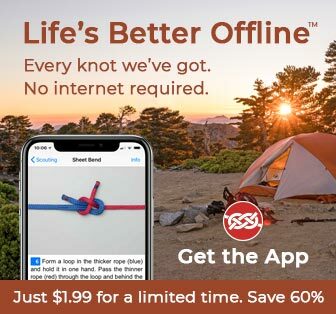 Those days are over, and many of these knots may fail with modern slippery ropes such as Spectra®, and Dyneema® (HMPE). 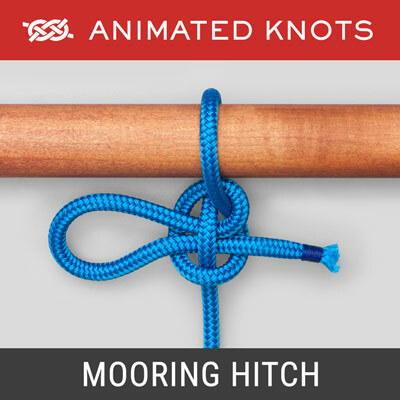 If you are depending on one of these knots, check the rope and the knot carefully. 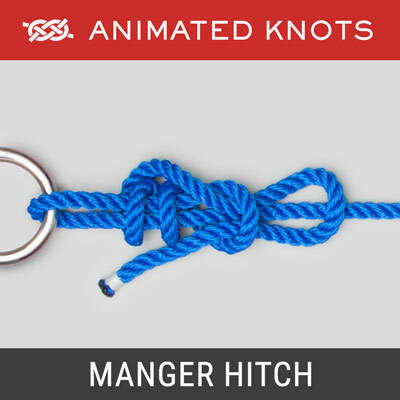 There is an important difference depending on whether the end or a bight passes over the bar or through the ring. 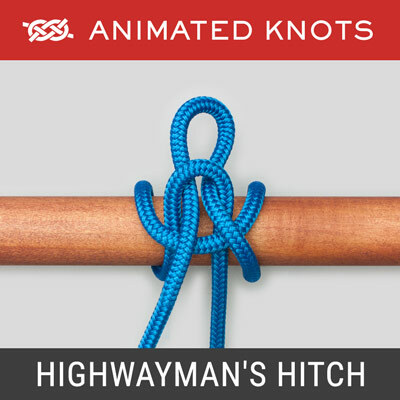 When the knot involves a bight and is correctly tied, pulling the end releases the hitch completely, e.g., The Highwayman's Hitch, The Ring Hitch, The Tumble Hitch. When the end has been passed, then pulling it may undo the knot, but the rope remains wrapped over the bar or through the ring. 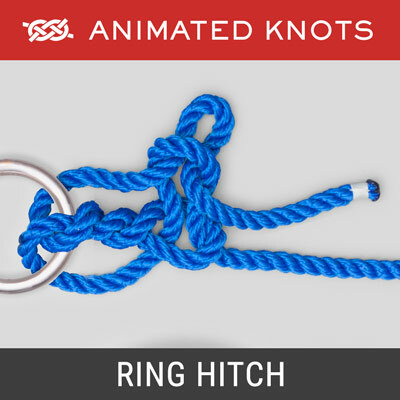 When a Quick-Release knot is used to secure a horse, it may be wise to lock the knot by threading the end through the final loop: some horses are inquisitive and persistent and may release even a well-tied quick-release knot.